We have teamed up with the “Basketball Cop Foundation” If you’ve been a follower of “The Basketball Cop” you know he’s a positive influence and makes a real difference within the community, working with at-risk kids through his foundation. He is raising money for basketball goals and courts to keep kids busy and off the streets throughout the entire country. He was featured in a video that quickly became a social media and national news sensation, with some guy named Shaquille O’Neil who came out and played ball with him and several kids. Since then Bobby White “AKA: The Basketball Cop has been RELENTLESS in helping of his community. 100% of the proceeds will be donated to The Basketball Foundation. 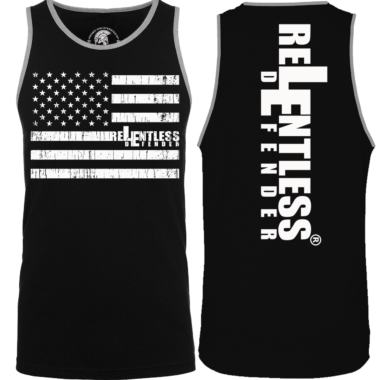 The relentless defender shirts are incredible. They are soft and fitted and very comfie. Probably my favorite shirts in my closet. And what could be better than supporting two amazing charities at the same time. Love my pink basketball cop shirt! 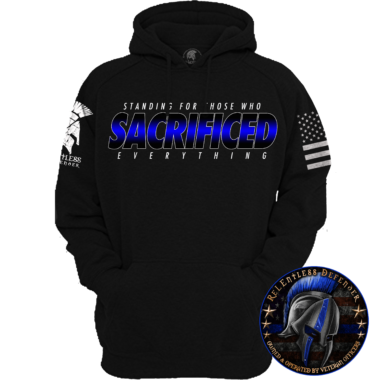 The fit is great and super soft! Love the shirt and what it stands for. The fit is great, and looks fantastic. 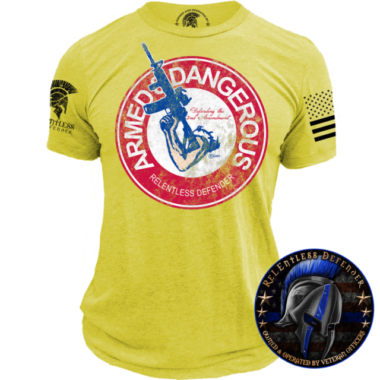 Another great shirt from ReLEntless Defender and I love purchasing shirts that are part of a fundraiser. 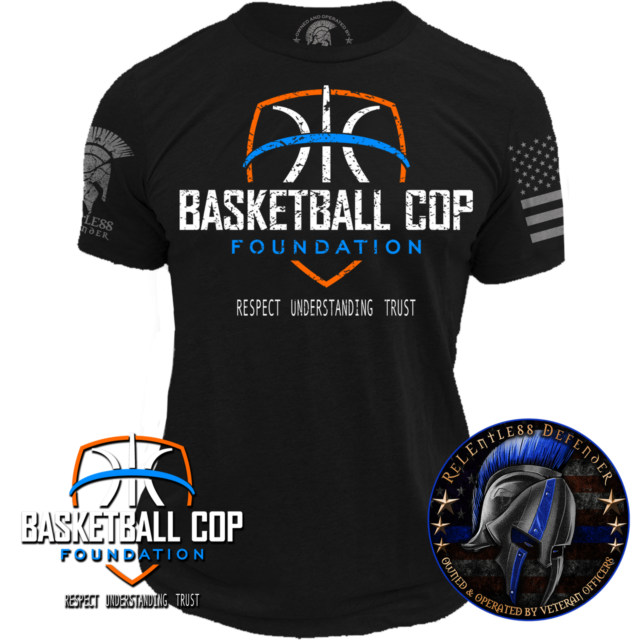 A comfortable fitting shirt that supports Basketball Cop Foundation and ReLEntless Defender, 2 great charities. Great shirt, just like the rest. 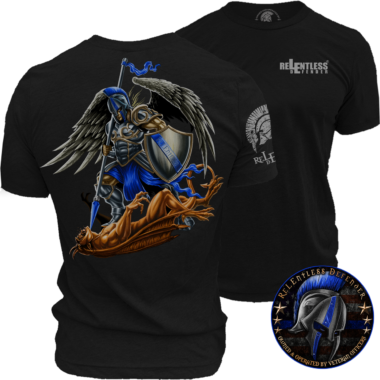 I have several Relentless Defender shirts and love them all. Keep up the great work!!! My son loves this shirt and refuses to take it off. This shirt is one of my favorites. 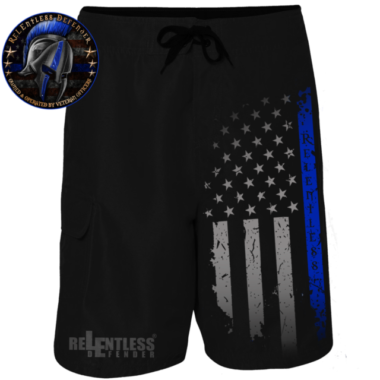 Awesome design and great fit. Awesome Design!! Great Quality shirt as always! Great cause! Love this shirt and the foundation it represents. 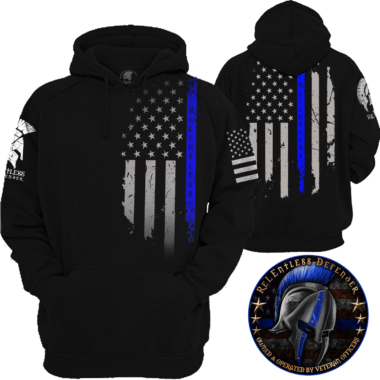 love the design but more than that helping to support another great charity!